This statistic shows the results of a poll among Americans regarding their views about 2012, and what the year will bring for their country. 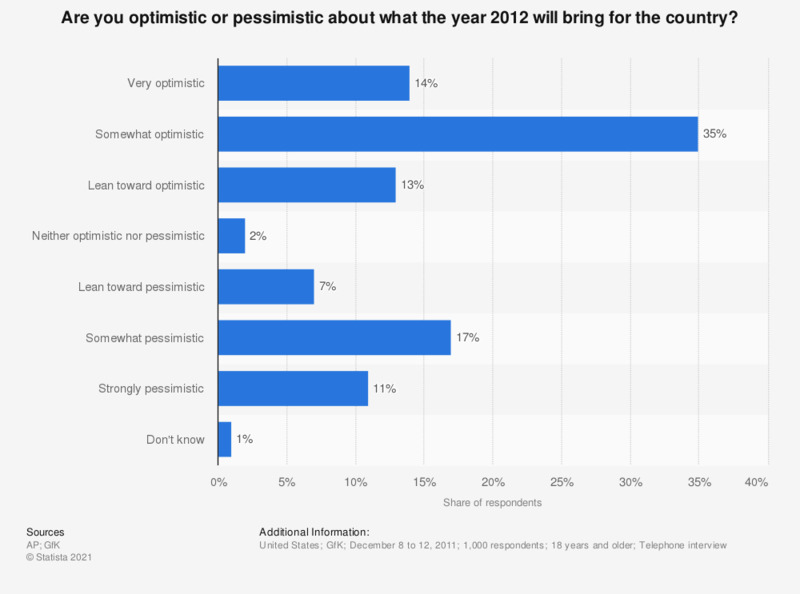 14 percent of Americans have a positive outlook on the year for their country saying they are very optimistic about what 2012 will bring for the United States. The source posed the question as follows: "If you had to choose, do you lean more toward optimistic or pessimistic about what the year 2012 will bring for the country?"